Manor College held its first “Manny Madness” in the school’s gymnasium. This event was attended by administrators, faculty, staff, coaches, and student-athletes. Altogether, approximately 125 people filled the room and celebrated everything Blue Jays athletics. 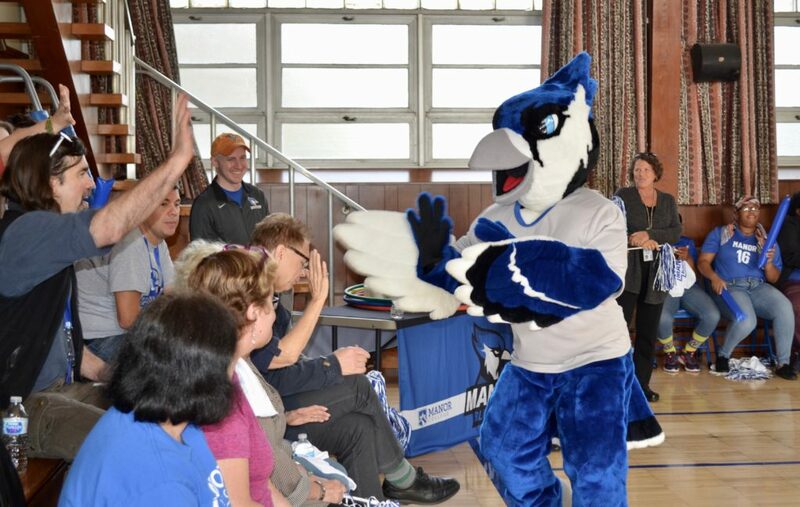 Manny’s Madness began with introducing Manny, the Blue Jays’ mascot, to the crowd as the music filled the festive room and Manor College rally towels waving in the air by those in attendance. Manny entered and greeted everyone around the perimeter of the gymnasium. Manny continued to engage fans, and with some help, tossing T-Shirts into the crowd. After the T-Shirt Toss, Manny participated in a “Dance Battle” at center court with Manor’s hip-hop instructor, Tyger B. 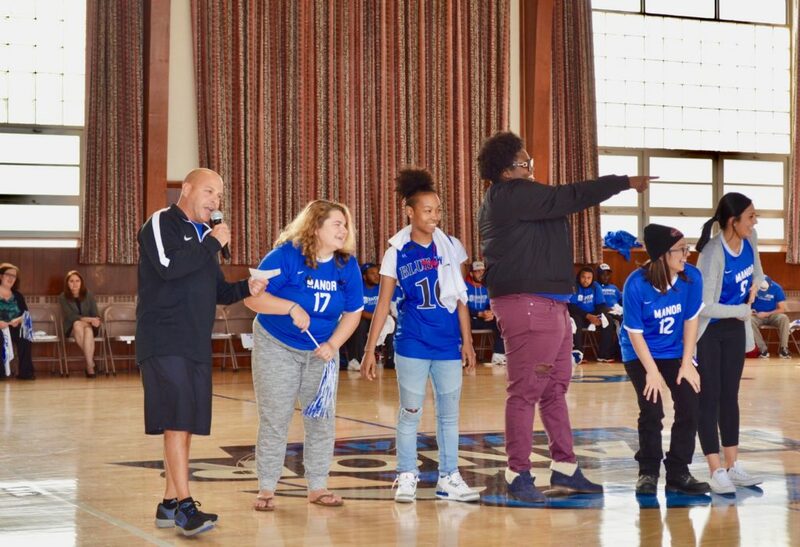 The Women’s Volleyball, Women’s Soccer, Men’s Soccer, Women’s Basketball, Men’s Basketball, and Baseball players were introduced by each of the team’s coaches. This was also first time the college’s newest athletics team, Baseball, was introduced in person to the Manor community. Baseball is scheduled to compete in the Spring 2018. Games followed the introduction of the six Blue Jays’ athletics teams. Numerous staff and students gathered to try to make half-court and three-point shots. The first one that made make each shot received a Wawa Gift Card and the second place winner in each got a Manor Water Bottle. Simon Says was the next the game, which included Manor President Jonathan Peri as one of the participants. Those remaining in this game received a Wawa Gift Card. The final game was the “TP Toss” at center court. A handful of two-person teams participated. Each one had a person tossing a toilet paper roll to another across the court wearing a hula hoop. The winning team received Wawa Gift Cards for getting the most to get through the hoop in two minutes. The second place team received Manor Water Bottles. Manny Madness wrapped up with Manny dancing at center court. 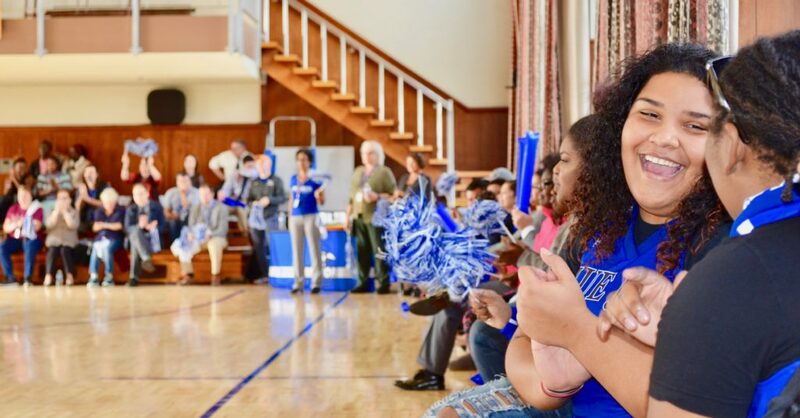 The Men’s and Women’s Basketball teams open up the regular season, hosting, the Community College of Philadelphia on November 2. The men play at 5:00 p.m. and the women follow at 7:00 p.m.